I love romance and I love spies, so present me with a book about two male spies tasked to win the heart of one very special girl, or die, and I am there. Hint at the possibility of the two males, competing for this one girls love, falling for each other and I am living for that story. 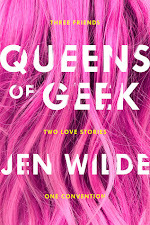 The Love Interest had me at the book blurb and getting my hands on it became my top priority and it delivered one heck of a fun story. Going into the book I knew what I wanted to happen and I knew what the rules of the situation the characters were in dictated, unfortunately, those two things were not interchangeable. So through the entire story I really had no idea what was going to happen in the end. Of course, this made the story that much more enjoyable, because not being able to predict everything that was going to happen made it that much more excited when it finally occurred. 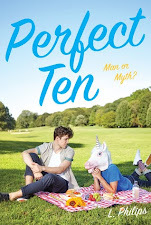 I really liked the way this story poked fun at some of the most common stereotypes and tropes in romance novels. Calling them out, in the way that it did, was so much fun. You could acknowledge that, yes, this is so ridiculous and yet this character is going to fall for it anyway, but at the same time still appreciate that it's what we love about these stories. I adore Caden. He's so naive sometimes, but he's also pretty self aware. He knows how he feels and he's pretty sure who he is as a person, even though it goes against his very purpose, but he also knows what he has to do to survive. I have to admit, Dylan took me a ride of emotions, because I kept flipping back and forth on whether or not he was trustworthy. This definitely affected how I felt about his character, but ultimately I ended up respecting him and his choices. I am eagerly awaiting what Cale Dietrich has in store for us next and if you like spies, romance, action, satire, and having your emotions played with, I urge you to check out The Love Interest. I don't think you'll regret it! 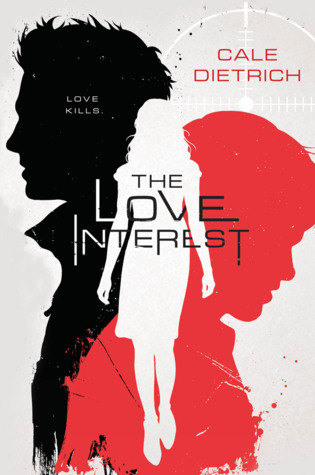 The Love Interest by Cale Dietrich seems like an interesting and heart touching story after getting its intro. I hope my sister will also enjoy reading it.